On September 29, 500 leaders in the Mexican marketing and communication industries gathered in celebration of the most powerful ideas in the field. 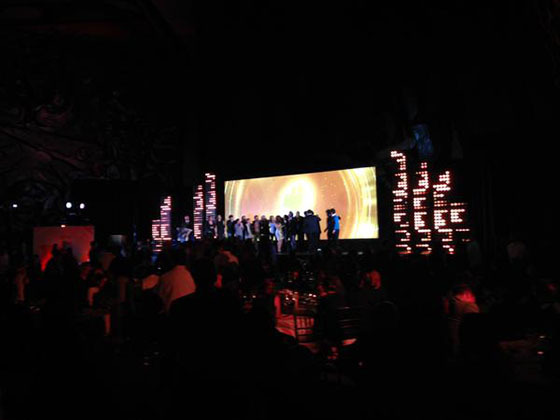 This year marked the 16th consecutive Effie Awards Gala for Effie Mexico. Under the representation and organization of the AMAP (Asociacion Mexicana de Agencias de Publicidad) which is chaired by Horacio Genolet, CEO of Ogilvy & Mather Mexico, the most powerful ideas in terms of strategy, creativity and results, were awarded. The entries underwent two rounds of judging from a jury chaired by Juan Domingo Beckmann, President of Grupo Cuervo. The jury included 227 judges, all experts in marketing and communications. In a year when more entries were recorded, more advertisers enrolled more cases, and more judges participated, the Effie Mexico Awards saw significant development for the local Effie program. At the Gala, P&G Worldwide presented their "Like a girl" campaign, the winner of a Global Effie and a Grand Prix at Cannes Lions 2015. Colombia's National Police also presented their "Quick Anti-theft Course," which was the Grand Effie winner for Effie Colombia. The Effie Mexico 2015 Awards Gala not only closes an edition with record entries, and was chaired by Nicolas Guzman, who is also the CEO of McCann México; but it is the largest local industry networking event celebrating marketing effectiveness. The Gala brought together nearly 500 leaders in the Mexican marketing and communication industry, such as advertisers, communication agencies, prominent media executives, and high members of the academy, all in Polyforum Siqueiros. A full list of the 2015 winners can be found here.